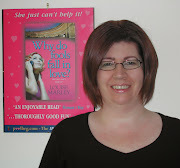 In which I talk about two of my favourite subjects - castles and coffee shops! 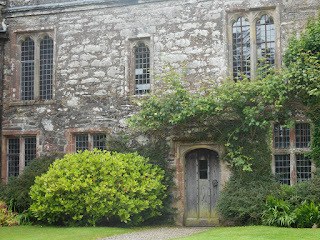 Regular readers of this blog will know how much I love visiting old houses and castles. I love learning about their history and of the lives of the people who lived there. The stories never fail to fire my imagination. They can be twisted and turned about, and reset into the present day until the original story is buried under so many layers as to be completely unrecognisable. Writers, as I've mentioned before, are like magpies! Wales, as I've also mentioned before, has 427 castles - not that I've counted them personally! Some were built by the Welsh princes to defend their land from the English, others were built by the English to help conquer and oppress the Welsh. Some are fortified houses, others little more than ruins. Here are three of the castles I've visited over the past month. ﻿A fortification has existed on this site since the Battle of Ewloe in 1157, but Ewloe Castle was probably built by Llywelyn ap Gruffudd, Prince of Gwynedd (later Prince of Wales) sometime after 1257. It was abandoned after King Edward I invaded Wales and allowed to fall into ruin. Built on a rock in the middle of a wood, with the tallest tower barely visible over the trees, it does seem to be a strange place to build a castle! But at the time Llywelyn had recently forced the English back over the border and needed to re-establish himself in the area quickly. Would I ever put this castle into one of my stories? Definitely! A romantic ruin hidden away in a forest, and a hero, determined to reclaim his family's land. The story could almost write itself. And did I mention the ghost? Whereas the rough hewn rocks of Ewloe Castle give the impression it was thrown up in a great hurry, each stone in Flint Castle appears to have been cut with great precision. Building began in 1277 and it was intended as a base for Edward I to launch his campaign to conquer Wales. It is situated on the Welsh side of the Dee Estuary, with England on the opposite bank, and the river would come right up to the castle walls. The castle originally had round towers at three corners and a huge donjon (keep) at the fourth. Ironically the castle did little to deter another revolt and in 1283 the castle was besieged by Llywelyn's brother, Dafydd ap Gruffydd. Although Dafydd was ultimately defeated, Edward quickly began another round of castle building! Life at Flint Castle was relatively quiet until the English Civil War. At first the castle was used as a garrison for the Royalists, before being captured by the Parliamentarians after a three month siege in 1647. To prevent the castle being retaken, Cromwell ordered it to be destroyed. Six years later the castle was described as being 'buried in its own ruins'. The castle was painted by Turner in the 1830s (the painting recently sold for over £500,000) and the castle also featured in Shakespeare's Richard II. Would I put Flint Castle in a book? Probably not. It was built as a military base, not a home, although the ruins do seem romantically brooding in a certain light. Flint Castle is also under the care of Cadw and can be accessed free of charge. Now for something completely different! 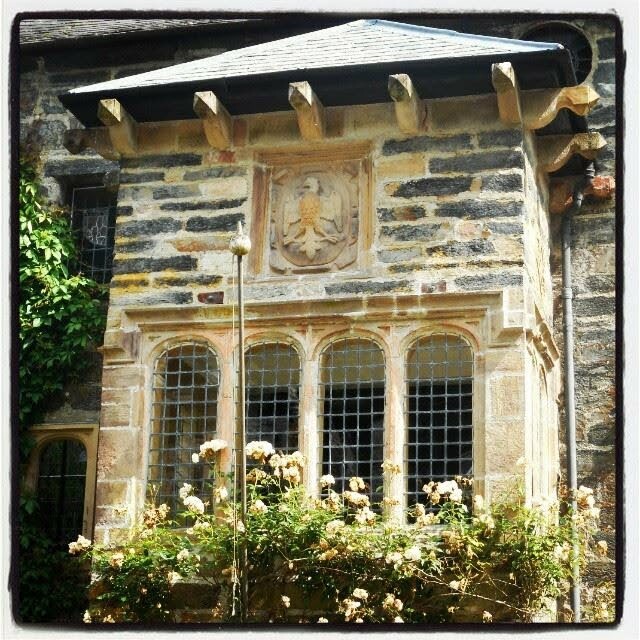 Despite the 'castle' part of the name, Gwydir started as a fortified house back in the 15th century, although there has been a building on the site since AD600. It's not particularly big or grand, but it is incredibly pretty with its mullioned windows, towers and little twisting stone staircases. 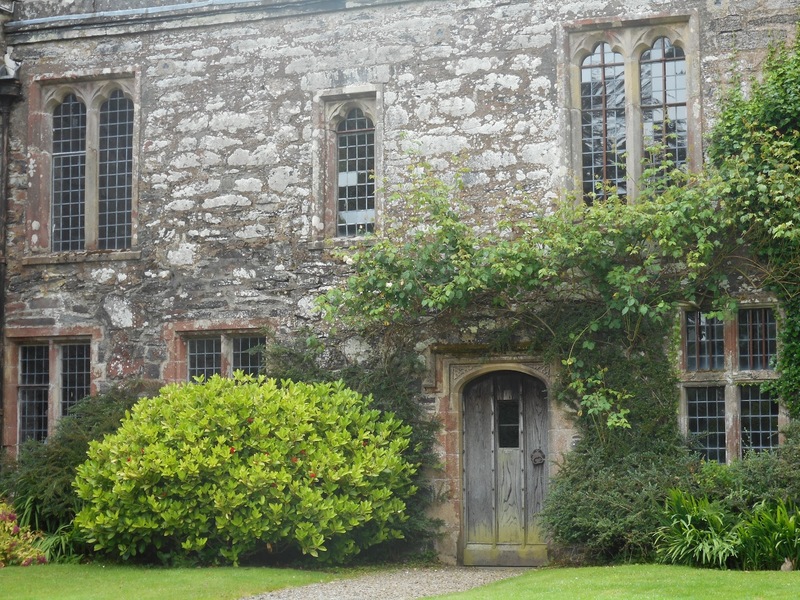 The first recorded owner of Gwydir was Howell ap Coetmor, who was a commander of longbowmen under Edward, the Black Prince, at the Battle of Poitiers. 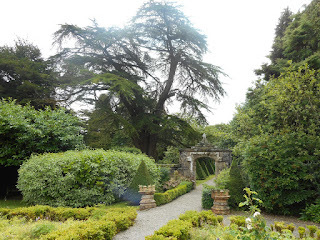 But after the Wars of the Roses it became the ancestral home of the powerful Wynn family and would be passed on through the generations for the next four hundred years. King Charles I stayed here in 1645; six cedars had been planted in the garden to commemorate his wedding to Henrietta Maria in 1625. The future King George V and Queen Mary also stayed here in 1899, when they were the Duke and Duchess of York. 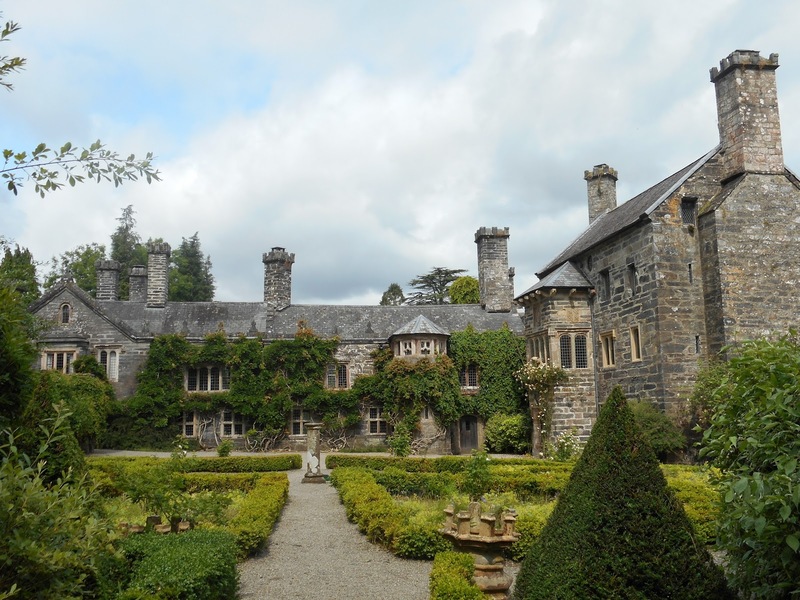 Gwydir Castle, along with all its contents, was finally sold in 1921. Two fires in the 20th century, destroyed part of the house and at one point in the 1980s it was used for unofficial raves. In 1994 it was bought by Peter Welford and Judy Corbett, who took on the enormous task of restoring it and tracking down every piece of furniture lost in the 1921 sale, including the entire dining room, consisting of door frames and wooden panelling, window shutters and a carved fireplace. The dining room had been bought by William Randolph Hearst for his own mock castle in California, but he died before he was able to arrange for the room to be installed, and it was inherited by the Metropolitan Museum of Art in New York (where it was to remain, still in its original packing cases). Peter Welford and Judy Corbett were able to buy it back with the help of Cadw. You can read more about the restoration of the castle in Judy Corbett's book, Castles in the Air. Would I use Gwydir as a location for one of my stories? Well, my friend Trisha Ashley beat me to it and used the castle as inspiration for one of her books, Sowing Secrets! Finally, no trip to a castle would be complete without a trip to a tea room! 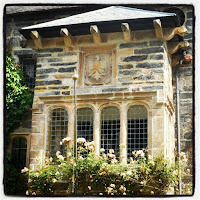 While visiting Gwydir in Llanwrst, we took the opportunity to pop back to Tu Hwnt i'r Bont, which I previously blogged about here. (The cottage was the inspiration for The Witch's Brew in Something Wicked). Now you can see what it looks like in summer - and they do lovely cream teas too!